Washington, D.C. – These documents, including an instructional guide on assassination found among the training files of the CIA's covert "Operation PBSUCCESS," were among several hundred records released by the Agency on May 23, 1997 on its involvement in the infamous 1954 coup in Guatemala. After years of answering Freedom of Information Act requests with its standard "we can neither confirm nor deny that such records exist," the CIA has finally declassified some 1400 pages of over 100,000 estimated to be in its secret archives on the Guatemalan destabilization program. (The Agency's press release stated that more records would be released before the end of the year.) An excerpt from the assassination manual appears on the Op-Ed page of The New York Times on Saturday, May 31, 1997. Arbenz was elected President of Guatemala in 1950 to continue a process of socio- economic reforms that the CIA disdainfully refers to in its memoranda as "an intensely nationalistic program of progress colored by the touchy, anti-foreign inferiority complex of the 'Banana Republic.'" 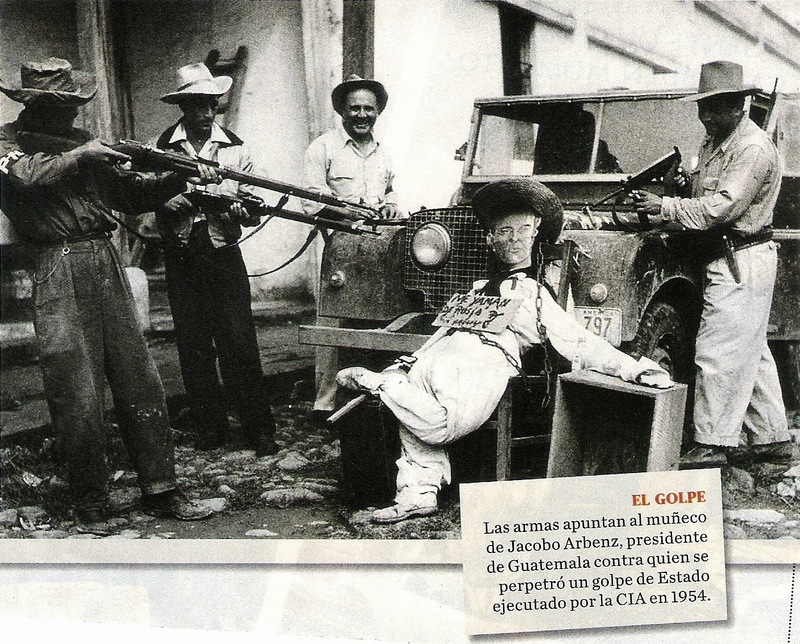 The first CIA effort to overthrow the Guatemalan president--a CIA collaboration with Nicaraguan dictator Anastacio Somoza to support a disgruntled general named Carlos Castillo Armas and codenamed Operation PBFORTUNE--was authorized by President Truman in 1952. As early as February of that year, CIA Headquarters began generating memos with subject titles such as "Guatemalan Communist Personel to be disposed of during Military Operations," outlining categories of persons to be neutralized "through Executive Action"--murder--or through imprisonment and exile. The "A" list of those to be assassinated contained 58 names--all of which the CIA has excised from the declassified documents.